Let me see… that’s three Christmases I saved… eight I ruined… two were kind of a draw. 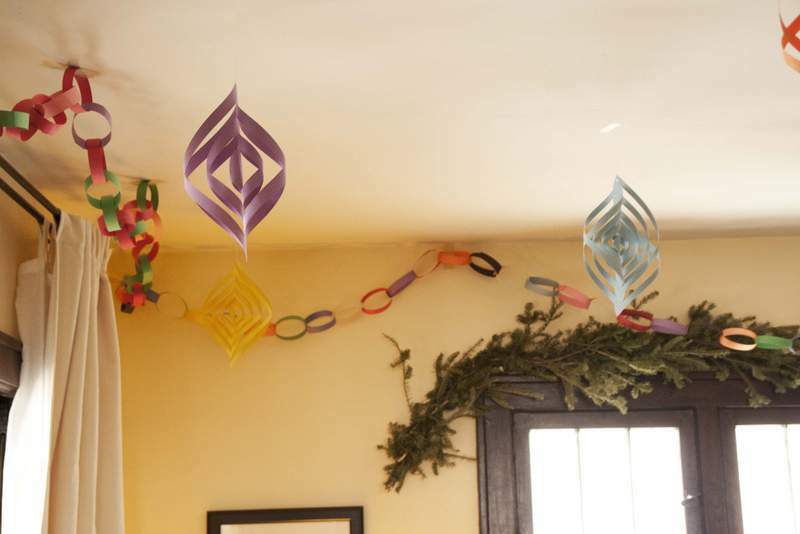 This year, Stacey decided to go with old-fashioned homemade paper chains for our Christmas decorations. She bought a big wadge of multicolored construction paper and glue sticks, drafted a nephew, and commenced festooning. 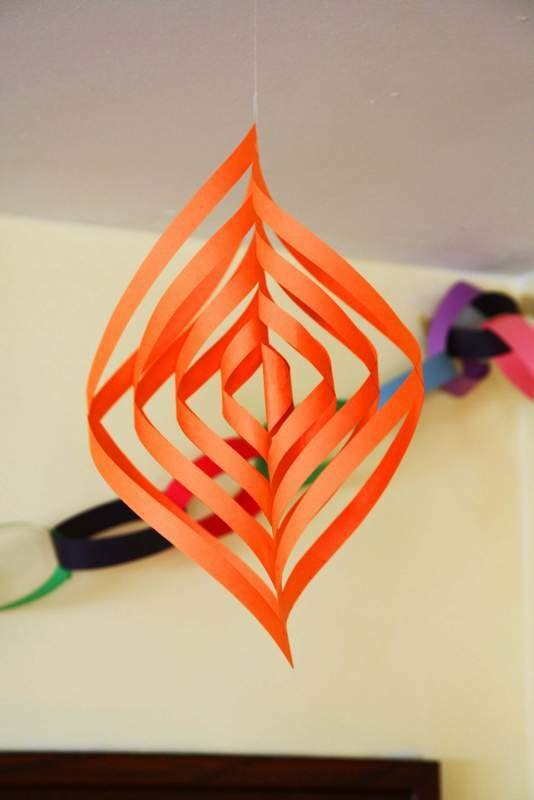 This set me thinking that maybe I could make some different decorations with construction paper. 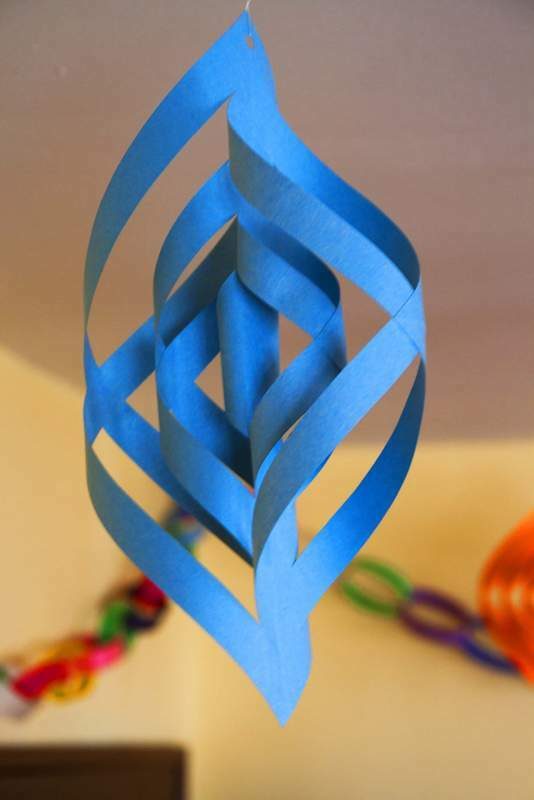 In traditional style, I began Googling home made paper Christmas decorations (except I probably didn’t capitalize Christmas). 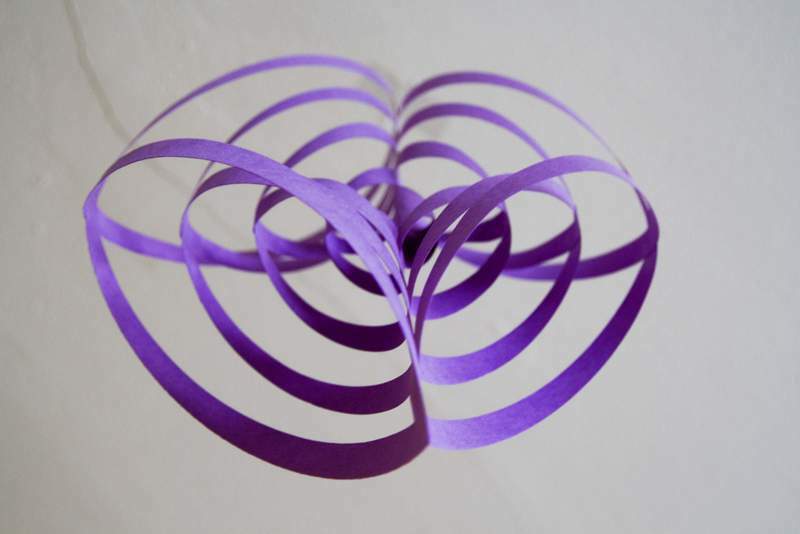 It was fun to experiment by cutting the strips different widths. I made some with ½” wide ribs. Of course, making the ribs wider reduces their number. They look interesting from different angles. All our visitors have been very complimentary about our crafty Christmas ideas. A totally different look for our Christmas decorations for this year. I hope you have as much fun decorating as we did. Wishing you and yours all the best for the holiday season and hoping you have a very merry Christmas. 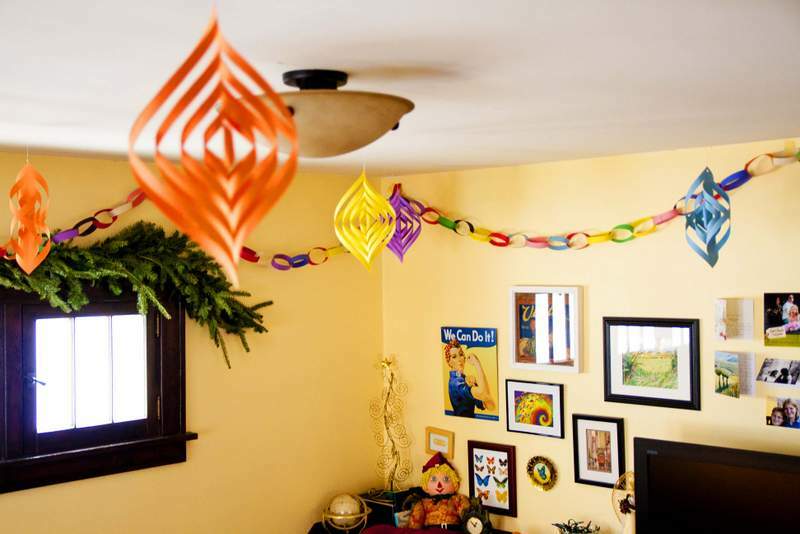 This entry was posted in Decor and tagged christmas, decorations, design. Bookmark the permalink.